Dr. Mavis Owureku-Asare, is a food Scientist and an international Food Safety consultant with the passion to empower food processors by providing technical support services that will help build stronger food brands that can compete globally. She is a Senior Research Scientist at the Biotechnology and Nuclear Agriculture Research Institute of the Ghana Atomic Energy Commission. She has fifteen (15) years of experience in the Food Research and Development. As a highly skilled individual with interdisciplinary expertise that cut across food Science, Nutrition, Food Engineering and Agribusiness. She is certified in FSPCA Preventive Controls Course for Human Food, USDA. She has expertise in drafting of patents for scientific inventions in Ghana and has in-depth knowledge on local and international food standards such as the Codex Alimentarius, International Organization for Standardization (ISO) and Ghana Food Standards. She is currently leading research efforts on developing improved solar drying technologies for postharvest management of locally-grown agricultural produce with special focus on tomato. Her wish is to see a more vibrant food industry that meet the nutritional need of Ghanaians. For her PhD research, she worked with the Department of Food Science of the Kwame Nkrumah University of Science and Technology (KNUST) and Agricultural and Biological Engineering Department of Purdue University in Indiana, USA on design and adaptation of a natural convection mixed mode solar cabinet dryer for drying tomato. The dryer was built using locally sourced materials from Ghana. She believes improving domestic tomato processing would help reduce post harvest losses and strengthen the tomato value chain. Her research work also focused on sensory and consumer studies of dried tomato products incorporated into local foods ; with the ultimate aim of promoting the use of dried tomato and reduce the over dependence on imported tomato products. She is a fellow of Norman E. Borlaug Leadership Enhancement in Agriculture Program (LEAP) of the US government’s Feed the Future Borlaug 21st Century Leadership Initiative. She is also a fellow of the African Women in Agricultural Research and Development (AWARD). She is also a mentor and coach for The Kufuor Young Entrepreneurs Network (K-YEN) one of the projects of the at John A. Kufuor Foundation. The Kufuor Young Entrepreneurs Network (K-YEN), supports young Ghanaian entrepreneurs including those in Agribusiness to grow and develop entrepreneurship skills. This initiative is assisting, consolidating and building a sustainable enterprise through capacity building activities, like coaching, mentoring, training seminars and accessing finance for K-YEN members. Dr. Owureku-Asare is currently the Mentor of Mrs. Adjoa Agah, a Food Scientist and a 2019 recipient of the AWARD fellowship program. 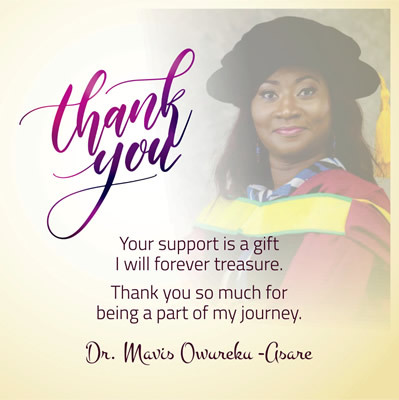 She has mentored other young female research scientists, under-graduate and post- graduate students in the field of Food Science and Technology. She has worked as a Research Associate at The Louisiana State University and Purdue University in the USA. She has travelled across continents to present papers at International Conferences and workshops. She is also a reviewer for AJFAND. Salimata Pousga is working at the Nazi Boni University of Bobo-Dioulasso in Burkina Faso (UPB) in West Africa. She has a background in veterinary medicine, and has a PhD in animal nutrition. Lecturer in various feels of animal sciences, she does research on livestock and poultry sciences. 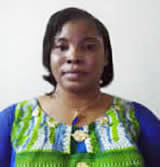 To contribute seriously to the development of animal production in Africa and to help the neglected social group in poverty alleviation and food and nutrition security achievement, she decided to focus her research on animal NUTRITION in general and the promotion of Family Poultry farming in particular. Indeed, she also believes that poultry is one of the short-cycle animal species that the most disadvantaged social strata can raise. During the various avian flu epidemics that have plagued poultry systems since 2004, she understood that the promotion of livestock should necessarily go through the consideration of animal health issues in the sense that public health issues may be imposed in particular in the case of zoonosis, and this could be a threat against the sustainability of animal raising. She carried a research on the assessment of food security topics in higher education in ACP countries (Africa, Caraibes, and Pacific), using the AIFSHE tool (http://aifshe.cta.int/en/) to audit the universities in order to assess the university concern with food security topics trough the curricula, the research, the vision and the objectives of the university. In addition a case study of the university regarding food security issues was done in Burkina Faso. The findings of the study imply that agricultural higher education has a key role to play to contribute to the achievement of food and nutrition security in the country, and therefore, policy makers should give opportunities and facilities to these institutions. Other topic in nutrition include the effective integration of livestock issues in agricultural extension and advisory programs in the framework of sustainable food and nutrition security in west Africa, with focus on Burkina Faso, Mali and Benin. James is a registered and licensed (by Kenya Nutritionists & Dieticians Institute-KNDI) Nutritionist and Dietician. He has a BSc degree in Food, Nutrition & Dietetics (First class honours) from the University of Nairobi. He also holds an MSc degree in Applied Human Nutrition from the same university, through a partial scholarship. He taught nutrition & dietetics on part-time basis at the University of Nairobi in 2016. James served as a reviewer for the UK based Journal of Health, Population and Nutrition from 2016-2017. He has extensive and varied research experience in nutrition and public health, right from the lowest level of an enumerator, data analyst to a Research Supervisor. While working with Action Africa Help International (AAH-I), he participated in a multi-national health systems research on costs and constraints to health services, led by the University of Washington’s Institute of Health Metrics & Evaluation (IHME). This research was key in informing the government and related stakeholders on existing health issues for appropriate programming and development of the healthy policy. James has previously worked with Bioversity International in agri-nutrition research (agro-biodiversity & quantitative dietary intake assessments) for evidence-based programming in Western Kenya. In addition, he participated in Focused ethnographic studies on complementary feeding in arid and semi-arid areas of Kenya for context specific nutrition programming. Recently, he worked as a Nutritionist/Monitoring & Evaluation Consultant for the Global Alliance for Improved Nutrition (GAIN) for three pilot projects in Kenya on: adolescent nutrition, nutrition in horticulture and nutrition in tea sector. In a nut shell, James has expertise in proposal development, community nutrition and health problem diagnosis, nutrition survey design and implementation, nutrition project design & planning, implementation, project management, programme evaluation, data analysis, and results dissemination in different fora. He is interested in research focusing on women and children and initiatives/innovative ideas to improve their (women and children) nutrition & health status, since these are the most vulnerable to malnutrition and their status reflects the socio-economic development and progress of a country. He is also a member of the African Nutrition Graduates Network (AgSNet). Currently, James is working with GAIN for the Workforce Nutrition Program, for a behaviour change communication intervention, towards improving diets for tea farming families in Kenya. James is a brilliant young man with a drive. We are happy to carry his paper here. His MSc. was mostly self- sponsored. He has kindly agreed to join AJFAND as a Junior Reviewer. We wish him a bright future. 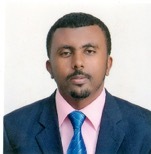 Dr. Mesfin is an Assistant Professor at Bahir Dar Institute of Technology, Bahir Dar University, Ethiopia. He has received his PhD in Food Science and Nutrition from Jomo Kenyatta University of Agriculture and Technology (JKUAT), Nairobi, Kenya, through the RUFORUM/DAAD in-region scholarship. He holds certificates on Quality Management Systems (ISO 9001:2000), Food Safety Management Systems (ISO 22000:2005) and HACCP Standards. He has also obtained certificates in International Milk Processing and Milking Systems and Milk Quality, The Netherlands. As a lecturer, he has offered a number of Food Science and Food Processing courses for many years. Moreover, he has served as Program Manager of the then School of Chemical and Food Engineering for three years and Chair Holder of the Food and Beverage Processing Chair for one year, at the Institute of Technology, Bahir Dar University. Currently, Dr. Mesfin is chairing the Department of Applied Human Nutrition at the same university. Mesfin has received an Appreciation Award from Bahir Dar University for his excellent performance in teaching and extra-curricular activities. He has the passion to actively participate in a range of activities including research and outreach, in addition to academics, on food and nutrition matters. He has also attended a number of national and international short trainings, conferences and workshops on food science and nutrition issues. Mesfin has a keen interest to work in the areas of infant and child nutrition, complementary foods processing, micronutrients, fortification of food products, utilization of indigenous crops and food processing practices, food preservation and shelf life studies, food and nutrition security, community nutrition and nutrition education and advocacy. He aspires to be involved in collaborations and partnerships among experts and/or institutions that target working on community development activities in the fight against food insecurity and malnutrition especially among infants, children and women. Mesfin is a registered member of the Food and Nutrition Society of Ethiopia (FoNSE). He is a reviewer for a number of peer-reviewed journals including the African Journal of Food, Agriculture, Nutrition and Development.